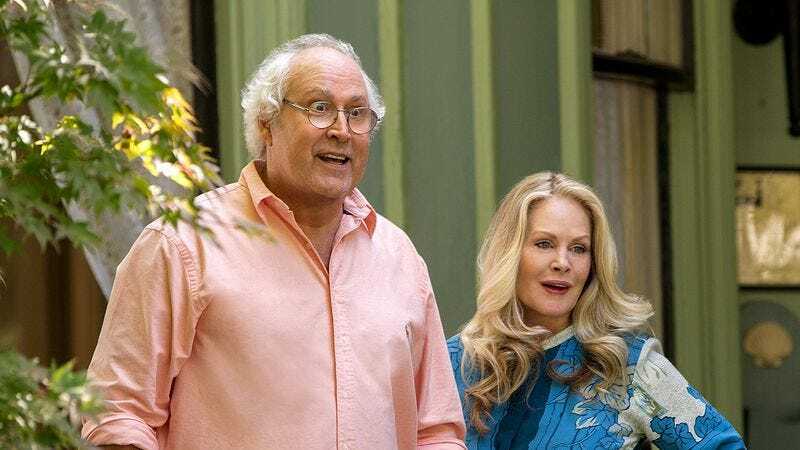 Chevy Chase is joining the hallowed Hollywood ranks of older thespians inhabiting the role of an ill-tempered, foul-mouthed grandfather. According to The Hollywood Reporter, the actor will star in Federal Offense, playing a cantankerous geezer who is sprung from his nursing home by his grandson. Furthermore, the yet-uncast grandson is one of three friends on the run from drug dealers, bounty hunters, and police. Federal Offense was penned by Connor Martin, who presumably has done the hard work of contriving a reality where three fugitives making a detour to break a septuagenarian out of captivity makes any type of sense. Boundless Pictures producer Brandon Burrows was enthusiastic about the casting, saying, “Chevy is an American icon with an expansive body of work that has made us laugh and cry for almost 40 years. He is a legend in comedy, and audiences will see a side of Chevy they’ve never seen before.” A side that will likely present him in a Member’s Only jacket and bucket hat, turning the air blue in a litany of profanities. Of course, audiences haven’t seen that side of Chase before, but Dan Harmon can attest that it’s been well heard on multiple occasions.